The Maritime Museum is located on the First and Second Floors of Fort St. Johns. The Maritime Museum was founded in 1949 at the initiative of the Yugoslav (today the Croatian) Academy of Sciences and Arts; since 1987 it was been a part of the Dubrovnik Museums. The main part of the holdings arose from numerous donations of Dubrovnik citizens to the Patriotic Museum in the first half of the 20th century and objects from the exhibition Dubrovnik Seafaring through the Ages, which was put on in 1941. Since 1952, the museum has been located on the first and second floors of Fort St John (sv. Ivan). In the past the fort guarded the entrance into the city port, and was one of the most important points of the city's defences. The construction works started in 1346, today's appearance being completed at the end of the 16th century. In the 19th century it was rebuilt into two floors, and at the places where there had been artillery embrasures, windows were installed. 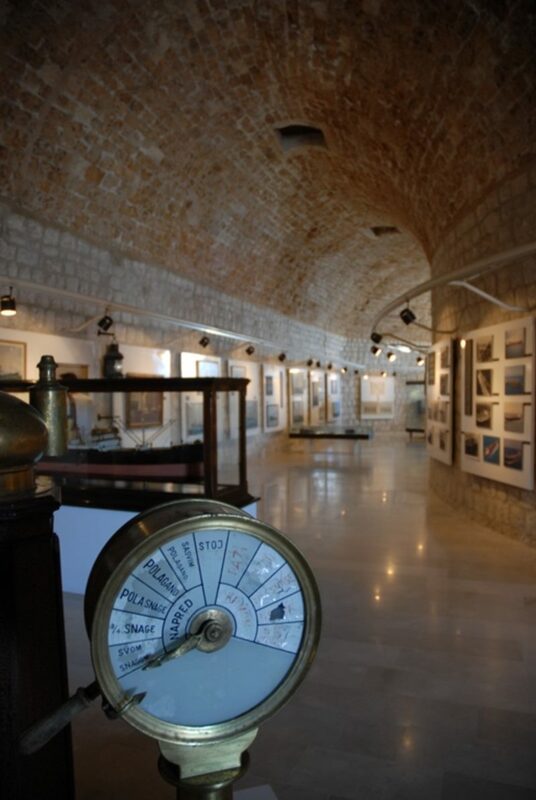 The museum systematically collects, studies, exhibits and publishes the museum material from the maritime past of the Dubrovnik region, all the way since Antiquity. Today it has holdings of over five thousand objects classified into fifteen collections.